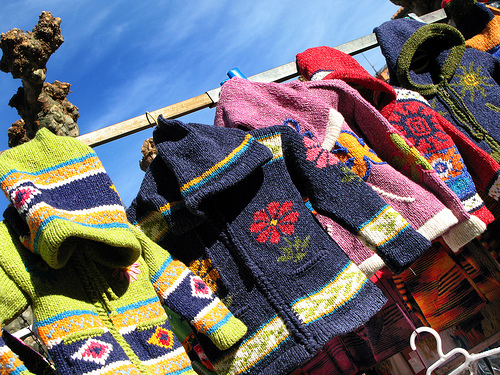 If you are into vintage and retro clothes, or if you collect rare things, you are surely familiar with flea markets. Shopping in fancy places will probably give you good value for money and a sense of prestige, but if you are looking for unique things (and if you have a bone to pick with modern consumer culture), you’re much better off if you go hunting for what you want at a flea market. And in addition to getting your hands on a rare record or an early edition of your favourite novel, flea markets are the best way to get to know the heart and soul of the place you’re visiting. 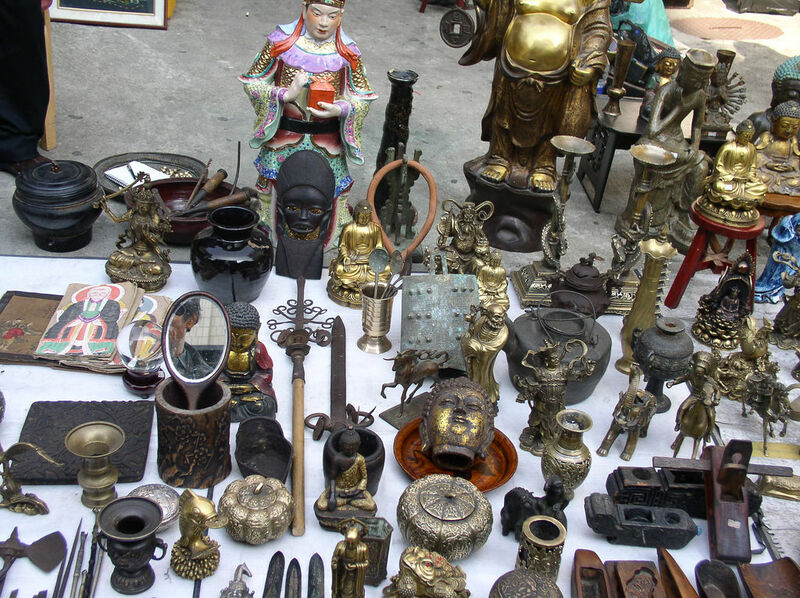 So here are a few of the most fascinating flea markets in the world. Good luck rummaging! This flea market is just as popular as some of New York’s brand stores, and some argue that flea markets can’t get much better than this. 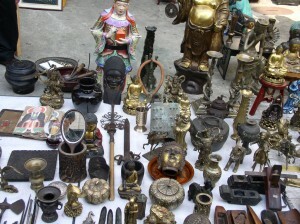 The market started out in the 70’s, and it quickly became a Mecca for treasure hunters all over the world. You can find virtually anything in this corner of Chealsea: antiques, collectibles, vintage clothing, mid-century modern items including home decorations and furniture, and jewelry. You can find some real treasures here, and second hand clothes that would cost you five times as much in a brand store. Come early, as the market gets really crowded after 10 AM. 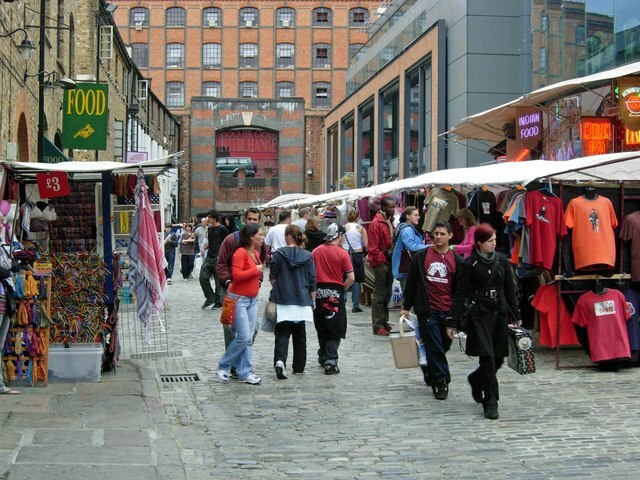 Camden Lock is the largest flea market in London, located in an abandoned timer yard. In addition to tons of cheap second hand items and clothes, the market is the regular haunt of budding artists, who sell their work here. Paintings and handcrafted jewelry abound at Camden Lock. Numerous alternative health practitioners have set up stalls in the market, in case you want to get a mineral analysis or a reflexology session. An eclectic mix of old and new, art and practical stuff. 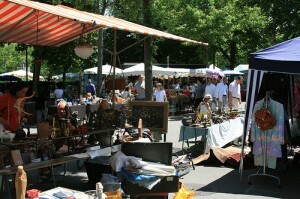 Les Puces in Paris is a mega flea market composed of more than a dozen markets, and it numbers up to 3000 stalls. It is open only three days a week, on Saturday, Sunday and Monday, and it sells everything from junk to antiques. Like in other flea markets, use your judgment when buying stuff, because you might as well get ripped off than get a bargain. You also have to remember that this is Paris, so everything will be more expensive than in the province, but if you are a visitor, the experience of Les Puces is rewarding even if you don’t manage to buy anything. This market is famous for its fine merchandise imported from India and Morocco, and for its pretty nice antiques, but shopping isn’t the only way to waste your money at this flea market: it is notorious for its pickpockets too. But as long as you keep your wallet safe, you have pretty good chances of bumping into some real gems, hidden among the throngs of imitation watches, bags and designer clothing. There’s no better way to spend a sunny Sunday morning in Montevideo than browsing through the wares put up for sale at the flea market. In addition to clothes, furniture, books and art – staples in any flea market – people also sell pirated software, plants and pets (and one seller sometimes sells even vintage dentures). 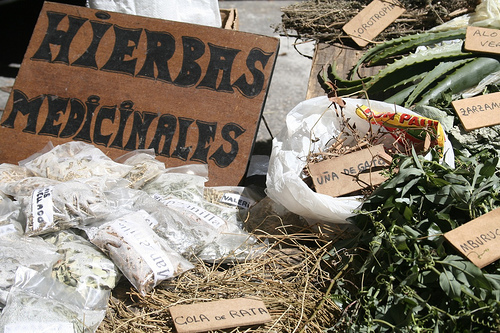 You can meet Uruguay’s best and worst, and you’ll be treated to a feast for the senses.